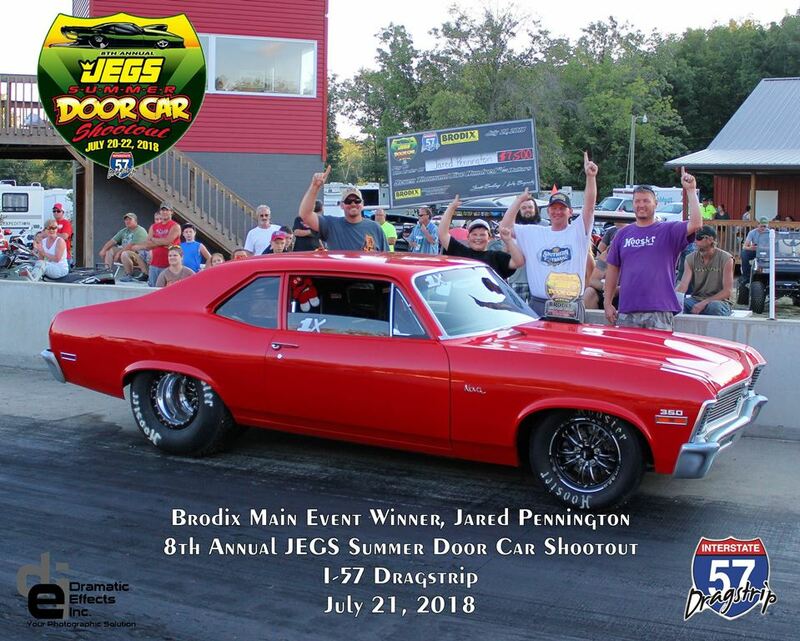 Benton, IL - Just three weeks removed from final round finishes at the 8th annual JEGS Summer Door Car Shootout, Donnie Ellis and Jeremy McKague revisited the I-57 Dragstrip Winner’s Circle at last weekend’s inaugural 5/7 event. 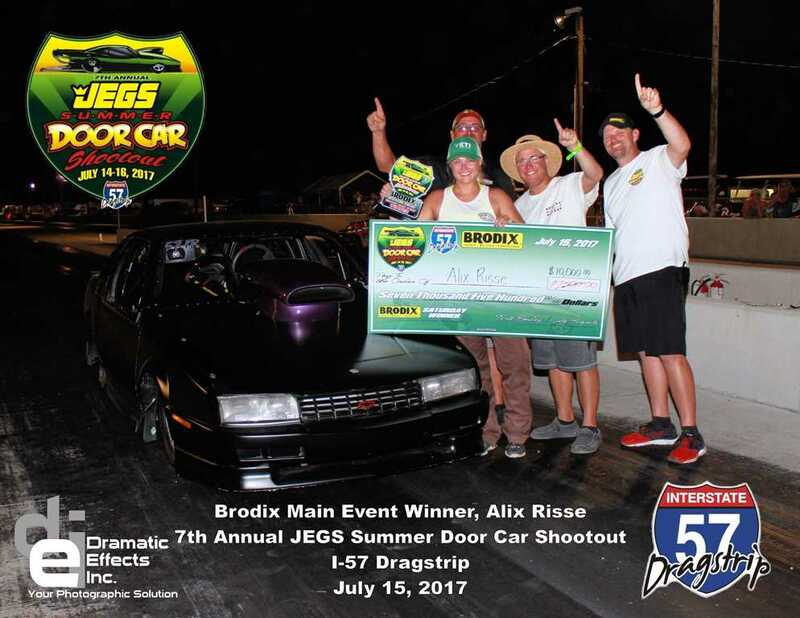 Benton, IL - I-57 Dragstrip played host to the “Biggest Little Door Car Race in the Midwest,” the 8th annual JEGS Summer Door Car Shootout last weekend. Nearly 200 of the best door car racers from the region were greeted by sunny skies, great prize money and a growing array of valuable prizes throughout the weekend. Benton, IL - To ensure decent parking and a more efficient event, we've actually reduced the maximum number of entrants to 200 this season. Entries Open Tuesday May 15th! Benton, IL - Mark Buttrum, who grew up in Murphysboro before a recent relocation to O’Fallon, MO, drove his Lumina past some of the biggest names in the sport to claim the $25,000 Advanced Product Design Main Event late Saturday night. Buttrum bested Georgia racer Bug McCarty in the final round. 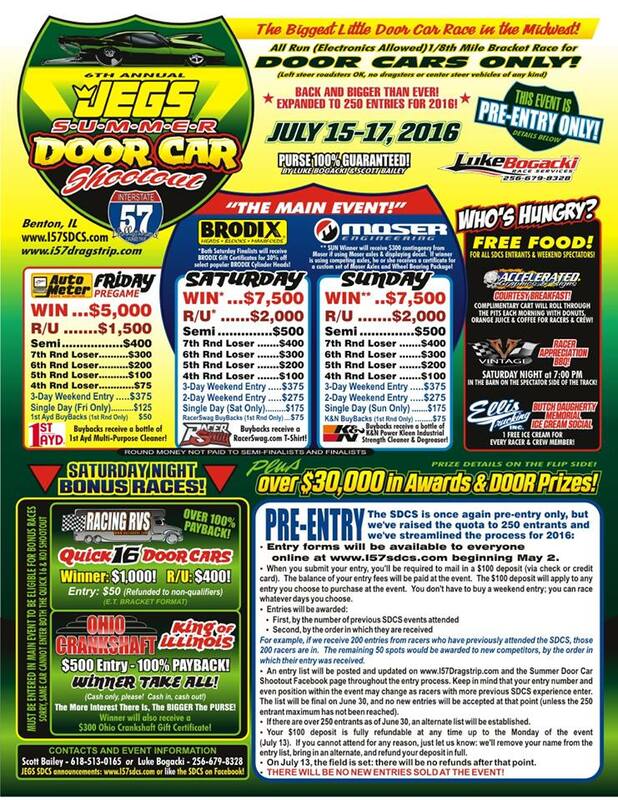 Benton, IL - I-57 Dragstrip once again played host to the “Biggest Little Door Car Race in the Midwest” last weekend, as the 7th annual JEGS Summer Door Car Shootout made its return to the southern Illinois facility. Nearly 230 door car drivers from all across the continent converged on the small facility to do battle for more than $100,000 in cash and prizes. 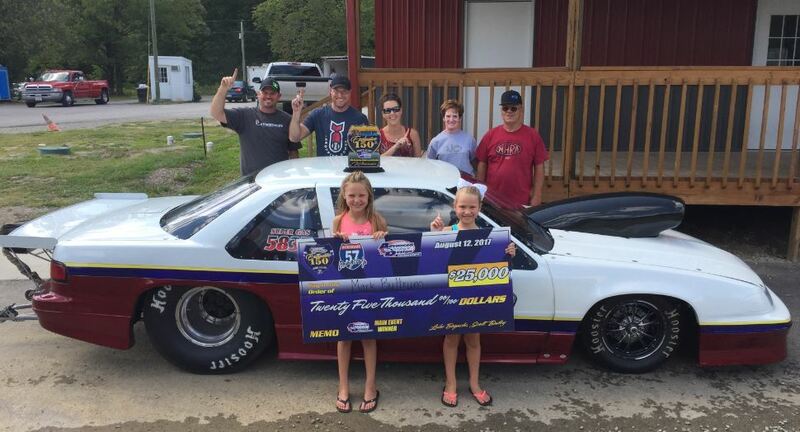 Benton, IL - The Racing RV's Quick 16 field saw the quickest bump in JEGS Summer Door Car Shootout history, at 5.244. 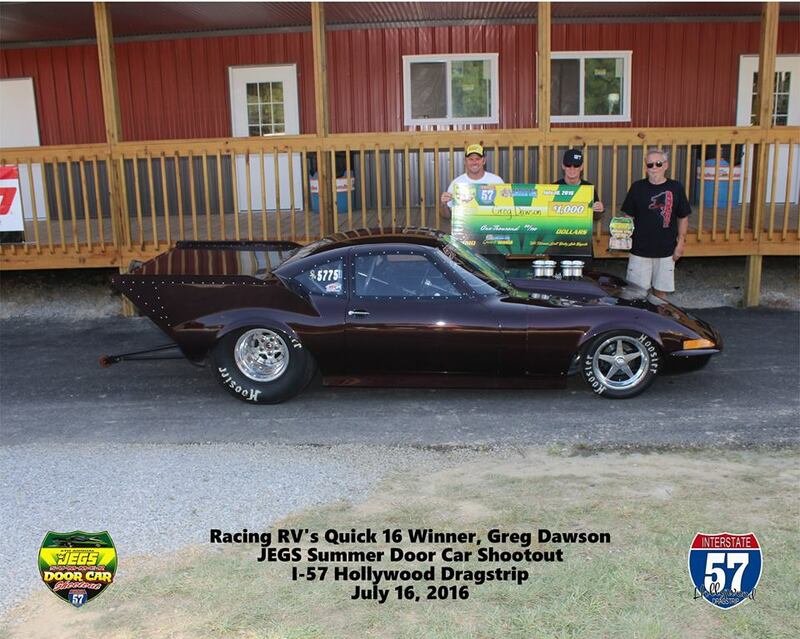 The Opel GT of Scottsboro, AL racer Greg Dawson prevailed over the elite group of door slammers. Benton, IL - To participate, you must pre-enter by Monday, July 13. CURRENTLY THERE ARE STILL SPOTS AVAILABLE! To pre-enter, fill out and submit the event entry form via mail, e-mail (superpro372@yahoo.com) or phone (618-559-5483). Benton, IL - Davis, May and Underwood take feature event wins. 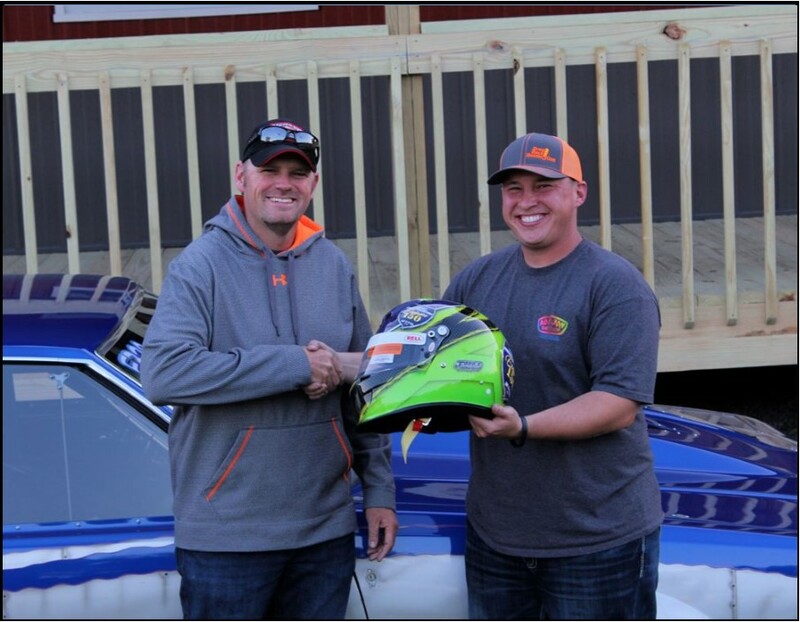 Wes May from Indianapolis, Indiana won the custom painted Bell Helmet by Todd's Extreme Paint for winning the most rounds out of Dragsters or Door Cars for the weekend at the Racing RV's Exclusive 150 3-Race Event. 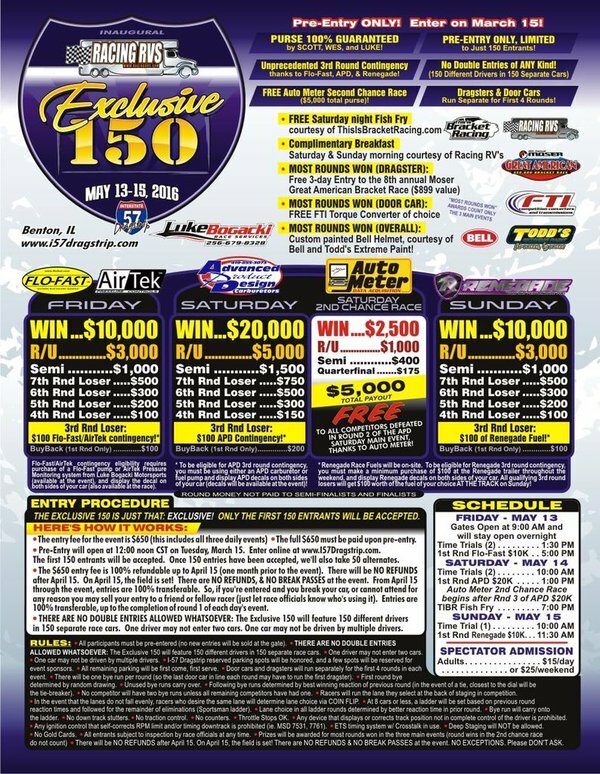 Benton, IL - There will be NO DOUBLE ENTRIES allowed at the Racing RV's Exclusive 150. No car may go down the track more than once each round, and no driver may go down the track more than once each round. The event will feature 150 different drivers in 150 separate cars. 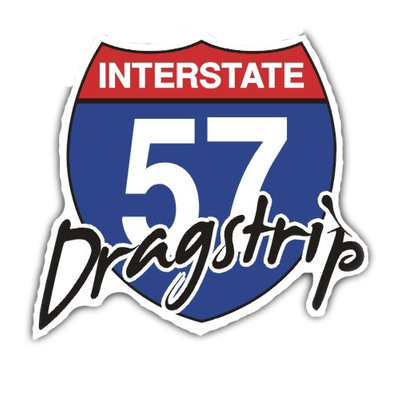 Benton, IL - The newly renovated I-57 “Hollywood” Dragstrip hosted the 5th annual JEGS “Fall” Door Car Shootout last weekend, welcoming nearly 200 of the best door car racers from throughout the Midwest through it's gates for the prestigious door car-only event.